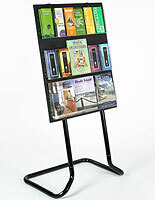 This Leaflet Holder is a Tiered Black Floor Stand! 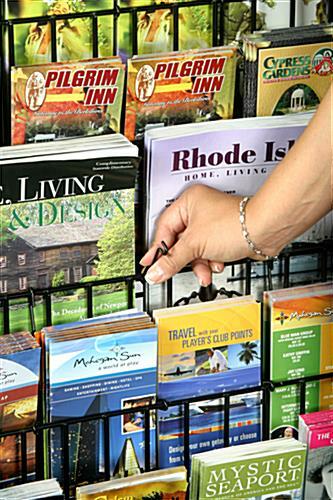 This is One of Our Most Versatile Brochure Holders! 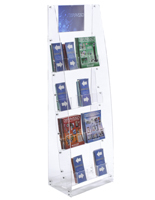 Order This Leaflet Holder Today or Browse Hundreds of Other Literature Displays Available In Stock Online! 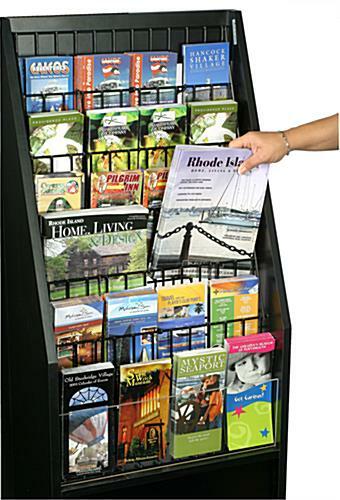 Removable hooks easily change size of literature rack display pockets. Glossy black finish complements any environment. 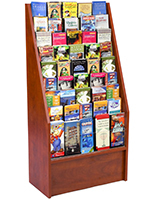 Floor standing literature display ships fully assembled for ease of use! 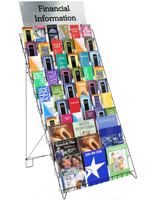 This leaflet holder is a 47" tall free standing literature rack with (6) tiers of brochure holders. 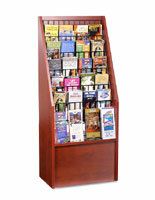 Each tier can be configured as boxes for either brochure (4"x9") or magazine-size literature displays. 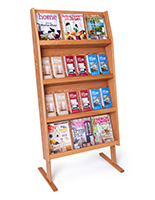 This versatile display, leaflet holder uses easy-to-use detachable hooks to change between 24 and 12 pockets. 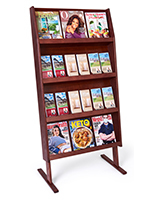 High traffic or public areas such as lobbies, hotels, welcome or guest centers, inns and trade shows or conferences are great places to showcase this type of display. This stylish leaflet holder, also known as floor display rack, is a free standing fixture with a glossy black finish. Wow what a great review! Thanks, Debi! We hope to hear from you again soon.